By Xah Lee. Date: 2016-01-26 . Last updated: 2016-07-20 . Talos, the giant automaton, protecting Europa in Crete from pirates and invaders. yesterday, i took a hour to think about the terminology “automata”, as in NFA and DFA. NFA = Non-deterministic Finite Automata, DFA = deterministic Finite Automata. the word “automaton” means “machine”. It came from greek, meaning “act by itself”. Basically, we'd call a robot. NFA and DFA are models of computation. They are needed to implement regex. now, the word “automata” is not a good terminology. like, what the heck you mean “automata”? or “robot”? likewise Turing Machine. by no means NFA or DFA act by themselfs, contrary to the word's root. They are “auto” as much as a dynamical system of math is auto. Zeus, changed himself into a big white bull, then abducted Europa. 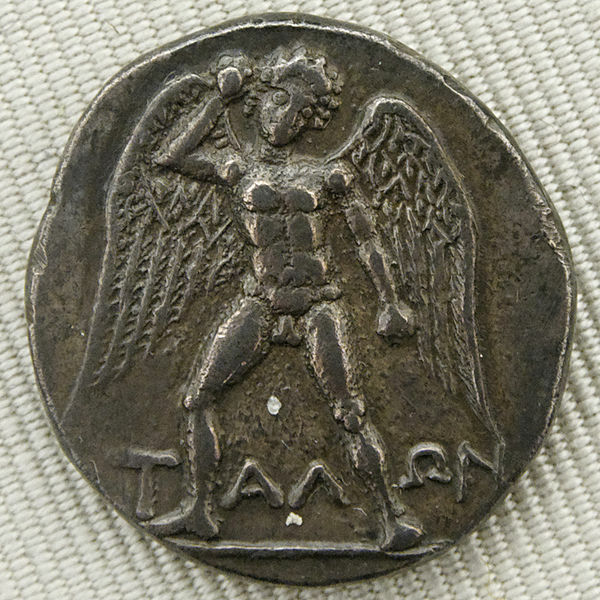 Zeus gave Europa 3 gifts: Talos, Laelaps, and a javelin that never missed! Laelaps is a dog that never fails to catch the game! Talos, is a automaton! basically, a giant robot that protects her! isn't that amazing? we have robot few thousand years back. O, btw, Zeus also gave Europa a entire island, Crete. What a lucky girl. Mate the most powerful man, and with these godsend gifts. back to automata. Now, that term is bad. So what's better? 1st, we think about what Finite State Machines really means. “machine” doesn't seem a proper term neither. cuz it's not a mechanical device. what do u think of when you hear “machine”? gears and cogs, mechanics, right? as we know, they are models of computation. but “finite state model”, isn't ideal neither. cuz the word “model”, we think of swim suite model, toy model train. in math land, the jargons are not consistent neither. some are “theory”, some are “algebra”, some are “*ology”, some are “space”. but they are all a “system”. A set of definitions. Most are inert eg: algebras and groups, but some not, implies action just as NFA. so, in the end, i think a better term for “automata” of NFA/DFA, is “system”, as in formal language aka formal system. i.e. DFA should be called DFS for deterministic finite state system. that concludes today's xah edu corner. but lol, automata just sound cool, and i love the story of Europa.